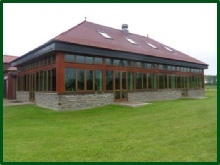 Balmossie Building Services Ltd is based in Broughty Ferry, Dundee. We have the expertise and knowledge to complete a wid e range of projects. These include project managing, new build houses and extensions, renovations, conversions and all aspects of building and joinery. We also do smaller jobs such as decking, hardwood flooring and fitted kitchens. Whether its a single room extension or a multi room extension we have the expertise to make sure your project runs smoothly and competently and always make sure the clients are kept fully updated as to the progress of works. To view examples of the type of work we do please visit the Gallery Page of our website. If you have any projects planned which maybe of interest to our company we would be delighted to hear from you and will respond swiftly with a friendly personal service. We offer free estimates and on receiving any drawing for pricing we will return them with a completed estimate within seven days.